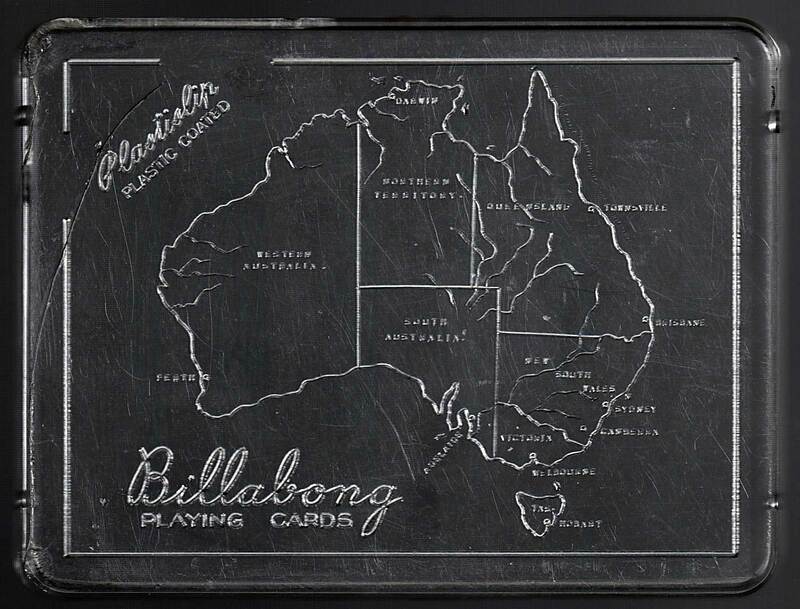 Billabong dual deck by Hudson Industries, 1950s. This dual deck features two paintings by Peg Maltby, both of young and glamorous aboriginal girls. Peg Maltby was a renowned artist, but these two images: Talinga and Wongana, appear to have been specially commissioned rather than prints of existing paintings. Above: Billabong Dual Deck by Hudson Industries, 1950s. Both packs have two jokers. 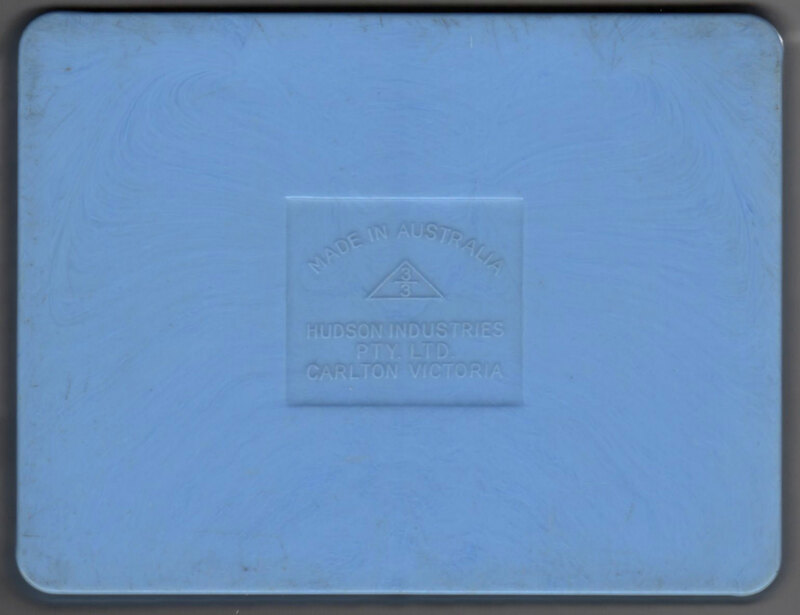 The box is a two part plastic box with a clear lid and map of Australia in low relief on the inside. The reverse of the box also shows the tax code (3/3). Images courtesy Matt Probert.